I was gearing up for battle against a computer character, but there are no computer opponents here. 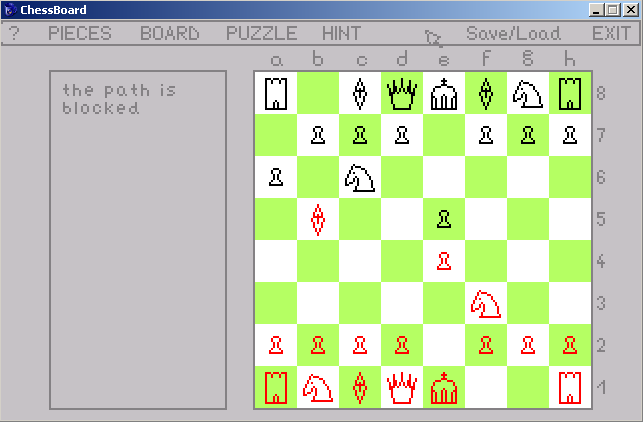 I can however appreciate how intricate it would be to program a chess opponent! This is some good foundations for somebody to build upon. Well done despite some "workarounds" (playing "against the computer required you to make a suggested move yourself). Chess is always a classic and with some work this could become another example of AGS's versatility. Also, some of the chess sets are kickass! 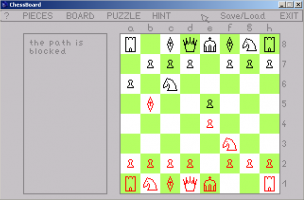 Solid virtual chessboard with some nice features for beginners (hints/illegal-move-explanation). Hope to see this developed in a full-fledged engine.